ISLAMABAD: A delegation of the Asia-Pacific Group (APG) on money laundering — a regional affiliate of the Financial Action Task Force (FATF) — will arrive here on Monday (today) to assess whether Pakistan has made enough progress on global standards against financial crimes to warrant its exclusion from the watchdog’s grey list. 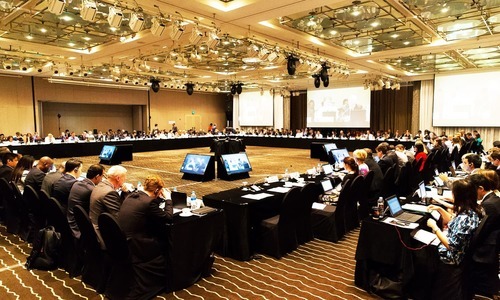 The country has taken certain steps since the February 18-22 meetings with FATF functionaries to comply with latest instructions to meet various deadlines in order to avoid being included in a blacklist. It declared as “high risk” all the eight entities and related elements specifically named by FATF as threats to the global financial system. Sources said that India had taken an aggressive stance against Pakistan in the FATF and Islamabad had repeatedly called for removal of Indian vice president from the APG. Under the high risk category the government is required to start monitoring and re-examining the groups’ activities and profiles under heightened security checks at all layers of legal, administrative, investigative and financial regimes. The government has so far fined six banks and started investigations against 109 bankers for opening ‘fake’ bank accounts. About 8,707 suspicious transaction reports (STRs) were issued last year by the Financial Monitoring Unit, showing almost 57 per cent growth over the 5,548 STRs issued in 2017. Memorandums of understanding are being signed in this regard with the United Kingdom, Qatar, United Arab Emirates and Australia for sharing of intelligence. Pakistan is also trying to improve coordination among different agencies of the government through centralised software. While such data may impress many Pakistanis, the FATF and its partners review processes, systems and weaknesses on the basis of a standard matrix. Pakistan is being monitored on 27 indicators under the 10-point action plan with deadlines. The ICRG that reviewed Pakistan’s performance in recent meetings was not satisfied with the progress made by it vis-a-vis milestones set for January. This was despite improvements in the anti-money laundering and combating the financing of terrorism (AML/CFT) regime and on the integrated database for currency declaration arrangements. 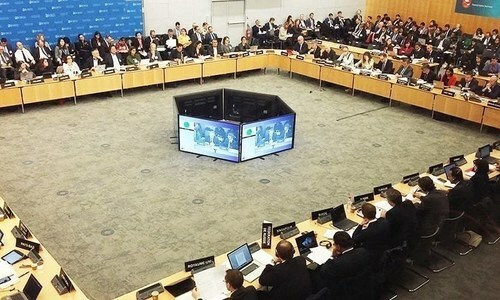 Therefore, FATF urged “Pakistan to swiftly complete its action plan, particularly those with timelines of May 2019” to address strategic deficiencies. The FATF had noted that Pakistan had revised its terror financing risk assessment, but did “not demonstrate a proper understanding of the terror financing risks posed by Islamic State group, AQ [Al Qaeda], JuD, FiF, LeT [Lashkar-e-Taiba], JeM, HQN [Haqqani network], and persons affiliated with the Taliban”. Pakistan has to comply with the 10-point action plan for which it is required to adequately demonstrate its understanding of the terror financing risks posed by the militant groups. It will have to conduct supervision on a risk-sensitive basis and prove that remedial actions and sanctions are applied in cases of AML/CFT violations, and that these actions have an effect on AML/CFT compliance by financial institutions. The country also has to demonstrate that terror financing prosecutions result in effective, proportionate and dissuasive sanctions, enhancing the support for prosecutors and the judiciary. It must show effective implementation of targeted financial sanctions (supported by a comprehensive legal obligation) against all those designated as terrorists under the 1,267 and 1,373 UN resolutions and those acting for or on their behalf, including preventing the raising and moving of funds, identifying and freezing assets (movable and immovable) and prohibiting access to funds and financial services. On top of that, Pakistan will have to demonstrate enforcement against the violations of terror financing sanctions, including administrative and criminal penalties. 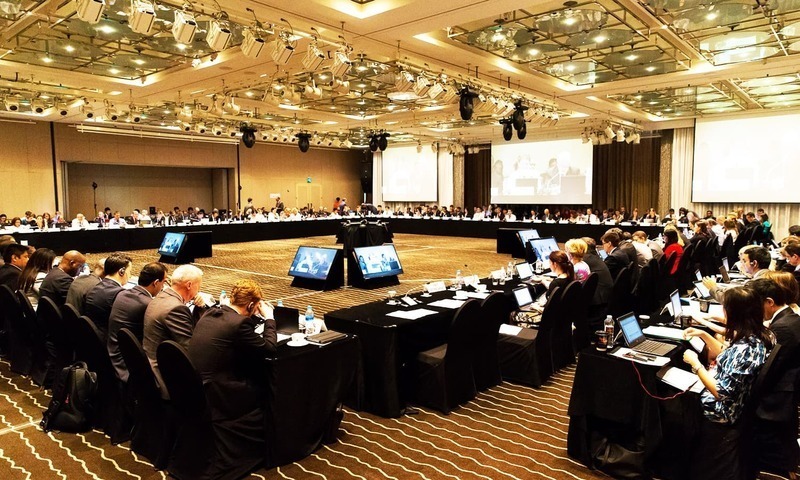 The FATF will undertake the next review of Pakistan’s performance in June, which will be preceded by a face-to-face meeting with the Joint Group in May. In June last year, Pakistan made a commitment to work with the FATF and APG to strengthen its AML/CFT regime and to address its terrorism financing-related deficiencies by implementing an action plan to accomplish these objectives. The successful implementation of the plan and its verification by the APG will lead the FATF to remove Pakistan from its grey list or move it into the black list category by September. JUD and FII are terrorist organizations. They have therefore been rightfully banned by the government of Pakistan. Long way to go. Effective actions not implemented yet. Incase Pakistan has done her house in order, why to worry, If India is there in Team of FATF or not? World is in chains of aggressors. @abdullah, yes blame India for your short comings , best way out of it. India is at war with Pakistan so everyone raising voices against them is right to do so. Insofar as the rest of the 10 point action plan Pakistan needs to action them regardless of whether India is on or removed from the panel. Incidentally how absurd is it to have the vice chair from India were is the impartiality in this?? ?